Krista Laursen is a contributing faculty member in the Doctor of Business Administration (DBA) program in the College of Management and Technology. She joined Walden in 2016 and received her DBA degree from the university in 2013. Dr. Laursen received the 2014 Walden University Frank Dilley Award for Outstanding Doctoral Study for her work “Leadership Strategies and Initiatives for Combating Medicaid Fraud and Abuse.” Prior to joining the Walden faculty, Dr. Laursen spent over two decades working as a senior project manager and executive for various organizations in the nonprofit research and higher education sectors. She holds certification as a Project Management Professional (PMP), has previously designed and taught project management training courses, and has served on numerous federal agency project review and advisory panels. 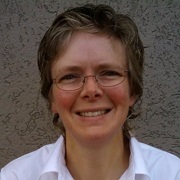 In addition to her work as a research mentor and instructor for Walden, Dr. Laursen is the founder and principal of a project management consulting firm that specializes in guiding individuals and organizations in the design and implementation of effective project management plans and processes. Laursen, K. K. (2015). A Career Based on Problem Solving: From Physics to Project Management. University of Wyoming.